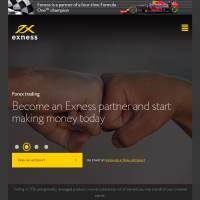 Exness is a multi-award winning broker which focusses on Forex (currency pair) trades. They have several accounts to choose from, each with different benefits, plus multiple browser, download and mobile trading platforms. As with any online trading website, it is important to remember that you can lose money whilst trading with Exness.com. Opening an account is quick and easy, with trial accounts and three key packages to choose from. The mini account is a good choice if you don't have much to invest as there is no minimum deposit. 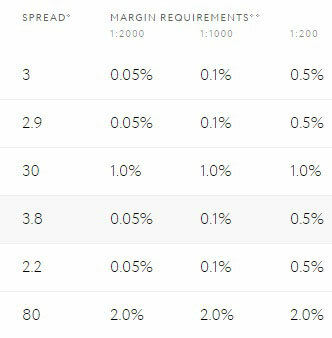 Leverage is up to 1:2000, though spreads start from 0.3 which means you may find a slightly larger cut taken from your trading profits. No commission on trading volume. ECN accounts require a small minimum deposit ($300) and provide leverage of 1:200, with spreads beginning at 0 pips. However, commission is charged on volume trades. As such, this may be better suited to traders who make infrequent trades for larger sums. Finally, the classic account requires a large initial deposit of $2,000, but a balance on spreads (starting at 0.1) since they take no commission on trading volume. The options don't end there, as Exness allows you to utilise multiple trading platforms. Choose from the widely-used MetaTrader (4 or 5), plus mobile platforms for your various devices when on the move. These platforms are available for PC and Mac, iOS and Android. Additional trading tools include an economic calendar, Web TV, analytics information, and some details on trading and leverage rules. The site provides information on the nature of Forex and CFD trading, with risk guides and other documents such as up-to-date news. There's also a searchable FAQ, although we didn't find it all that intuitive and locating information took longer than it ought to. Quickly compare and analyse Forex market information. There are more than 120 currency pairs to trade on Exness. You can find common and less familiar pairs, with contract specifications, gap level values and examples of execution and pending orders. Users can quickly view a range of Forex data in tables. Trade in crude oil and gasoline, with easy access to futures contracts and prices, execution and delivery dates. Options and contract specifications vary depending on your account type, so pick one which suits your needs best. Exness has won numerous international awards for Forex brokering. Whilst it has plenty of account and platform options, we felt that the site lacked a lot of the information we'd expect to find. Forex pairs aside, its trade options are also quite limited and the range of tools on offer is far from breath-taking. That said, awards don't grow on trees so they must be doing something right. If you're hoping to trade on Forex markets and want to try your skills out before investment, we recommend checking out their trial accounts.